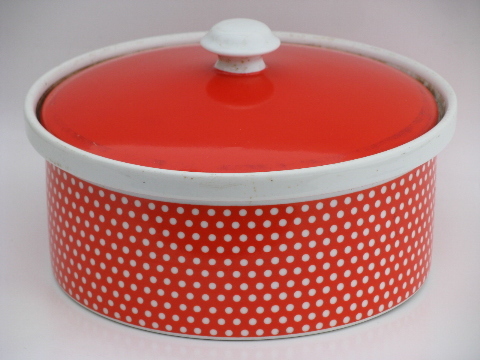 Red and white polka dots pattern casserole, vintage Fitz & Floyd oven to table ware. 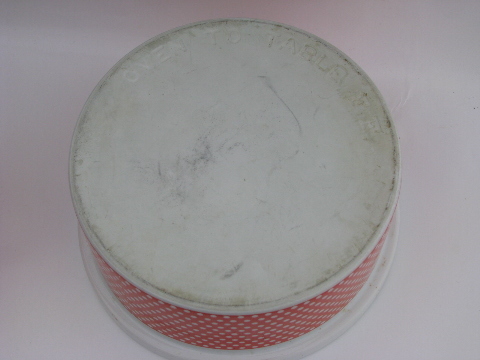 This is 7 1/2" in diameter. 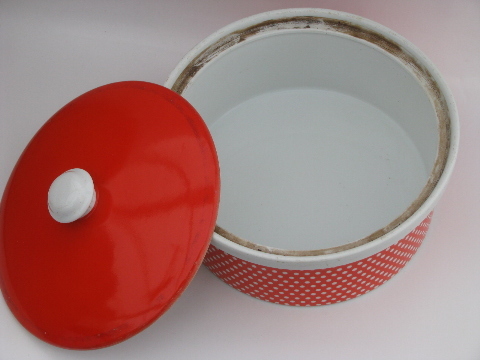 It&apos;s been used, and shows soil to the rim, and the unglazed bottom as shown. 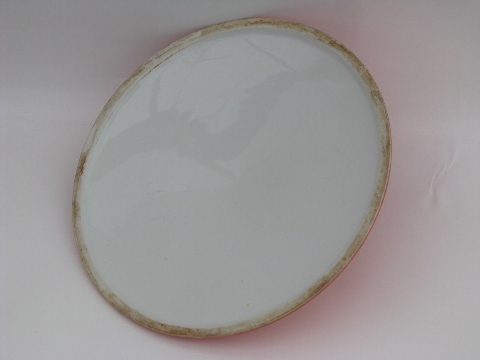 The finish looks good, without much wear to scratching, and both the dish and the cover are free of chips or cracks.